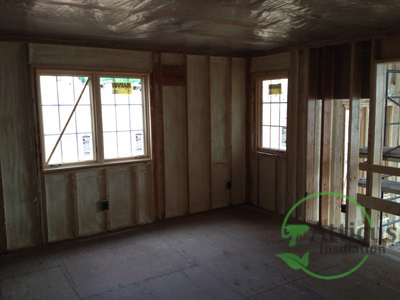 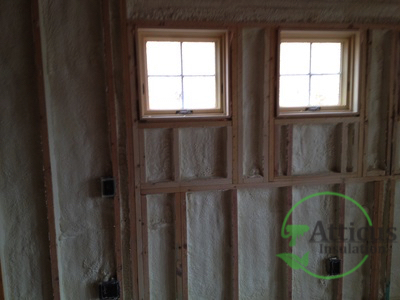 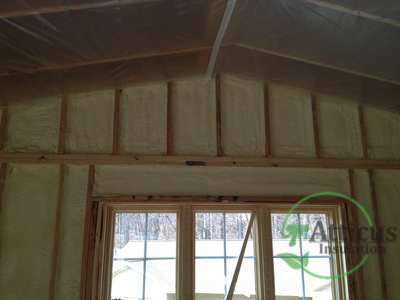 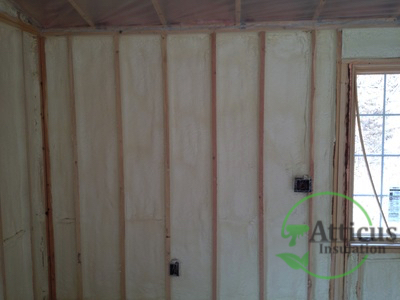 Insulate your home with energy-efficient spray foam insulation. 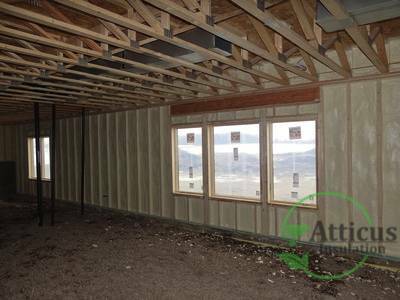 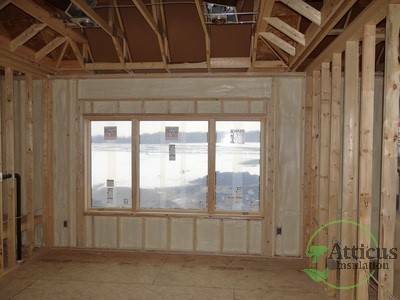 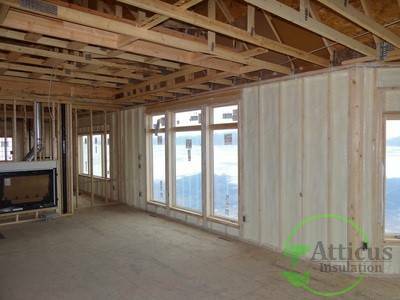 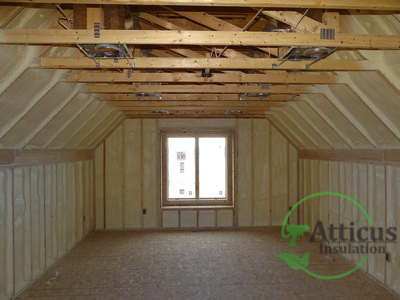 At Atticus Insulation in Big Lake, Minnesota, we offer professional installation of the industry’s best products at reasonable prices. 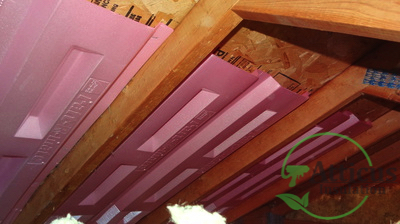 Stay warm and snug without spending a fortune on heating and cooling. 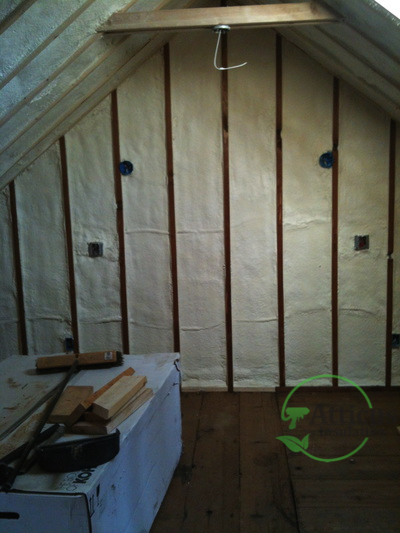 High-quality insulation provides temperature control year-round, keeping your home warm in the winter and cool in the summer while saving you money on your heating and air conditioning bills. 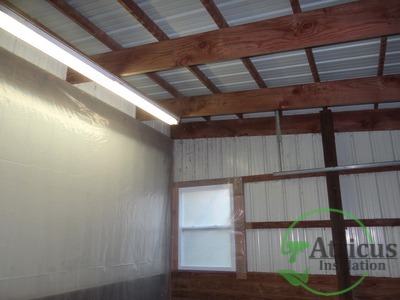 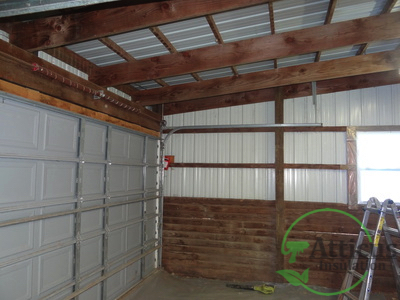 Pole building and barns are great for storage, but proper condensation control is essential, especially in building with metal roofing or siding. 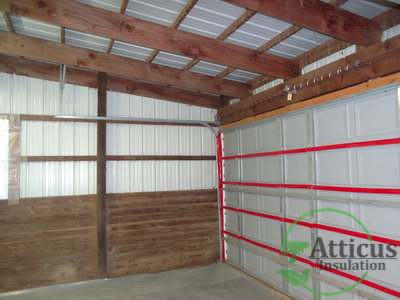 Keep your valuables safe by ensuring your barn has proper insulation and ventilation. 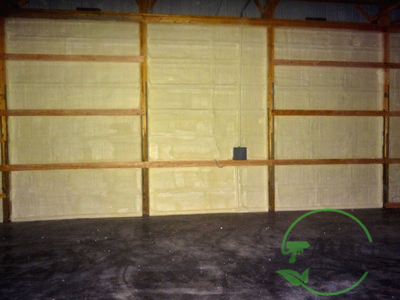 This is especially important when animals are present. 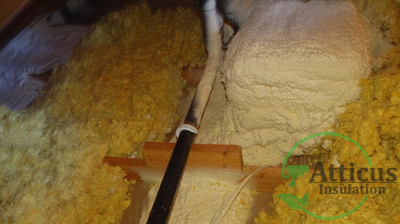 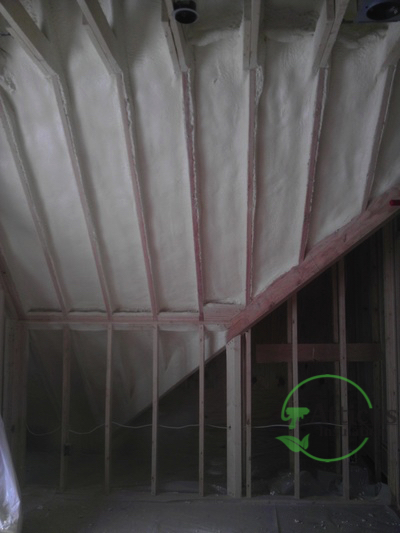 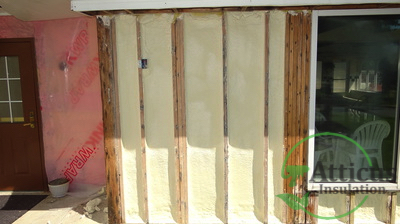 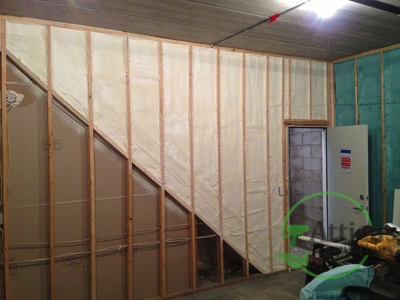 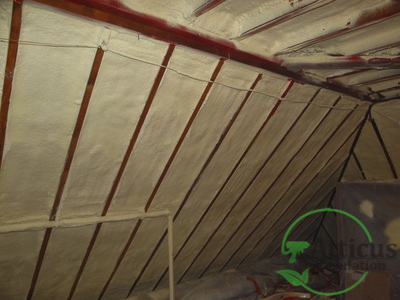 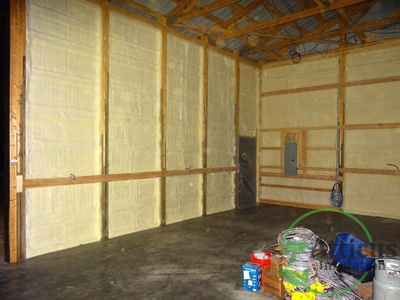 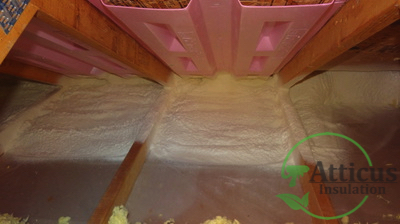 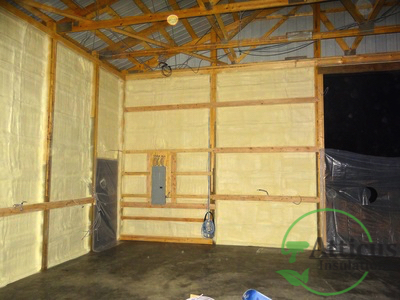 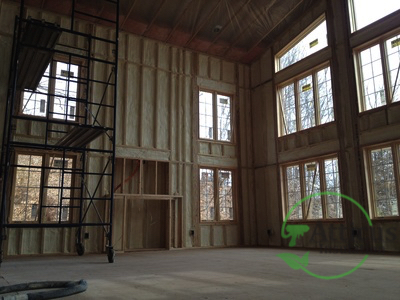 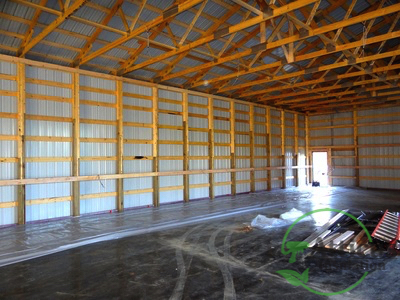 Closed cell spray foam adds up to 300% racking strength to your building, and protects the interior from the elements. 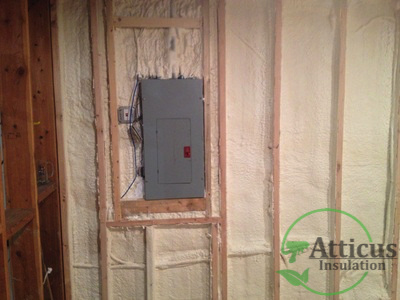 With professional installation by our experienced team, you’ll protect your investment and save money. 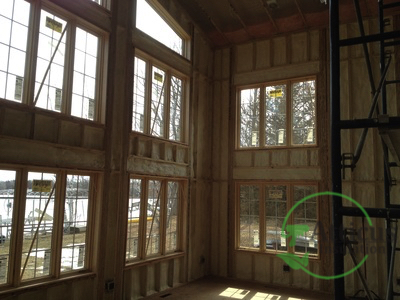 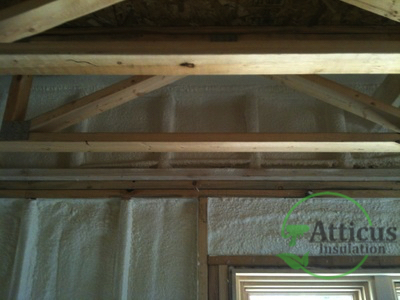 Make sure your new property is properly insulated right from the start. 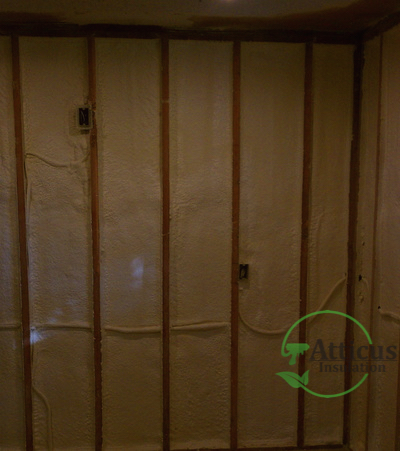 We work on all areas of the home that require insulation and understand the unique requirements of the Midwestern climate. 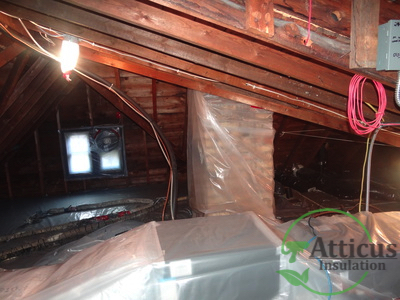 Ice dams can be a nightmare for townhomes and condominiums. 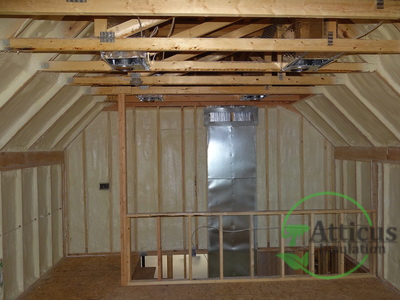 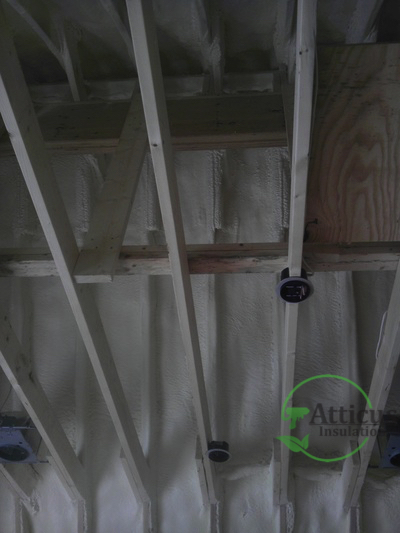 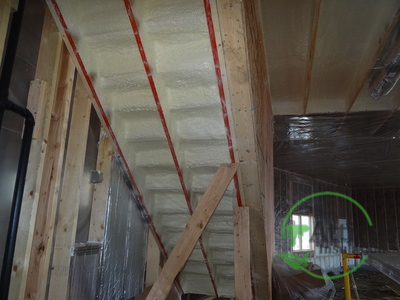 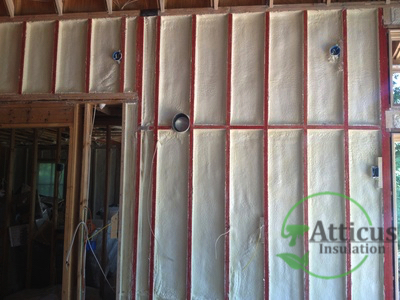 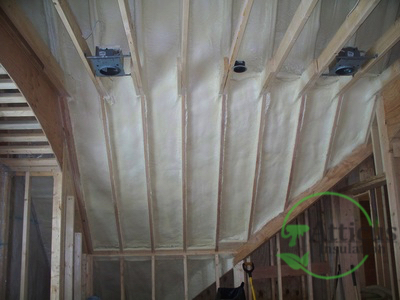 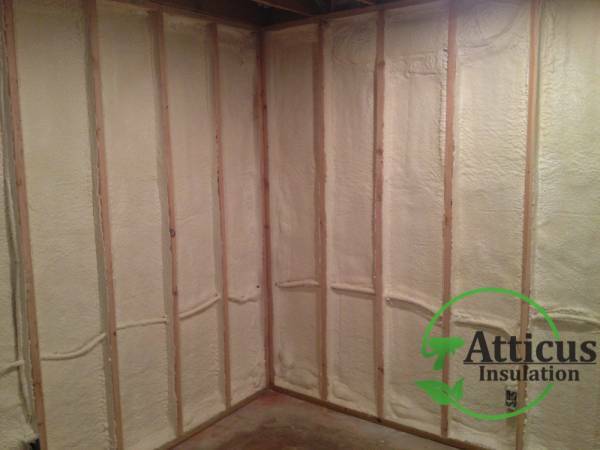 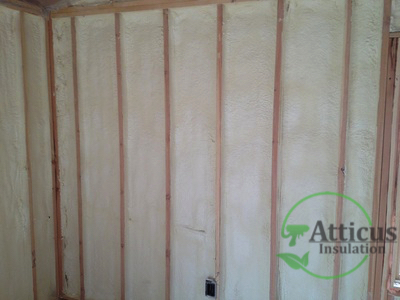 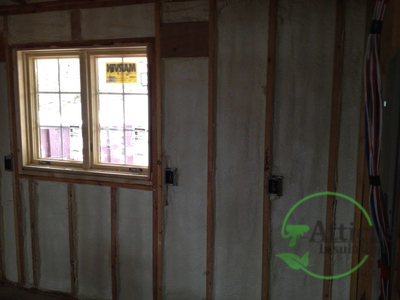 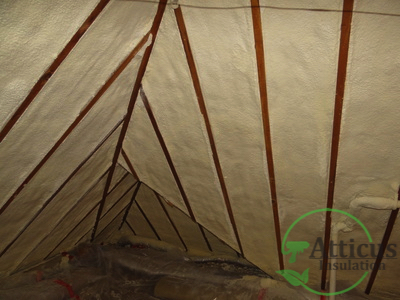 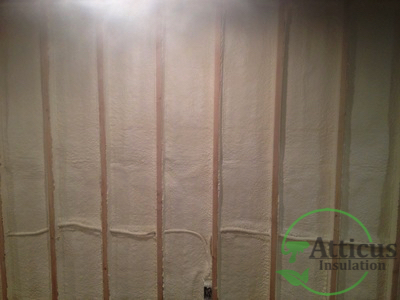 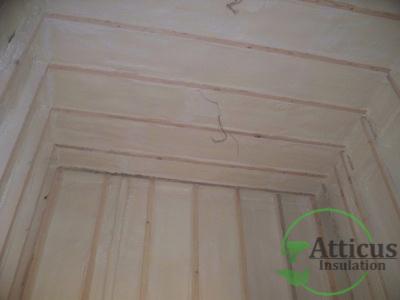 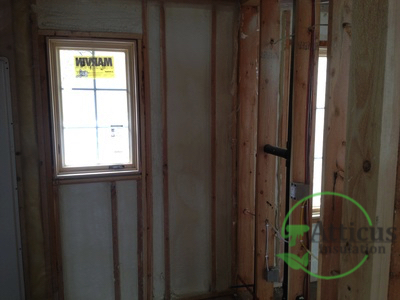 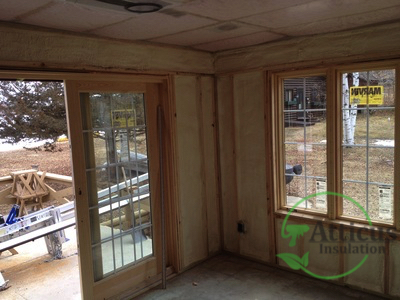 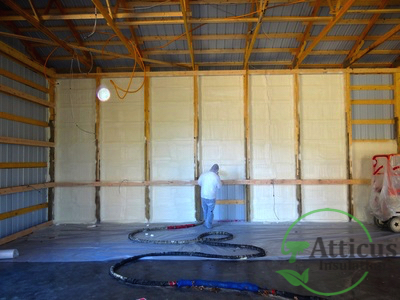 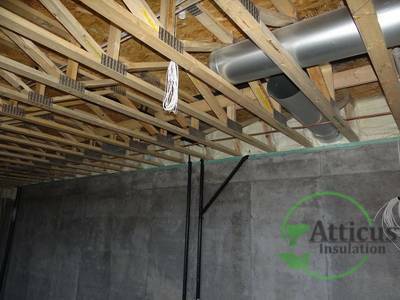 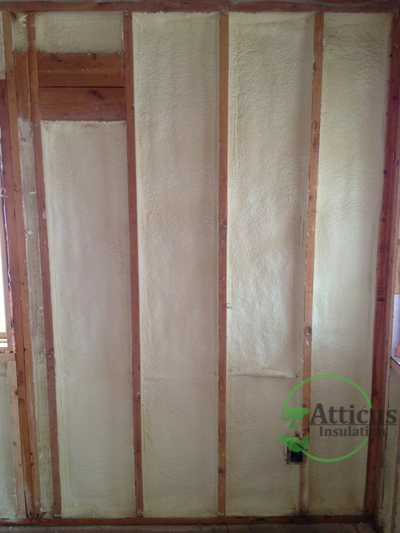 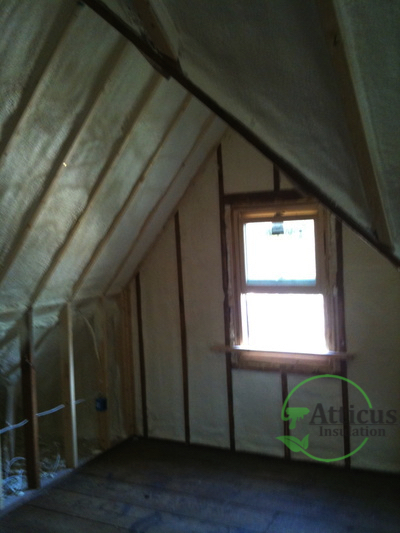 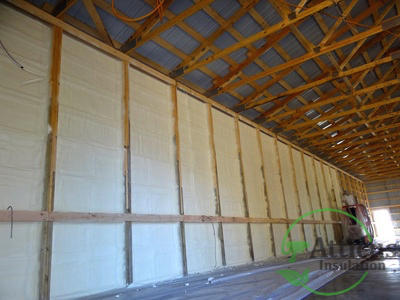 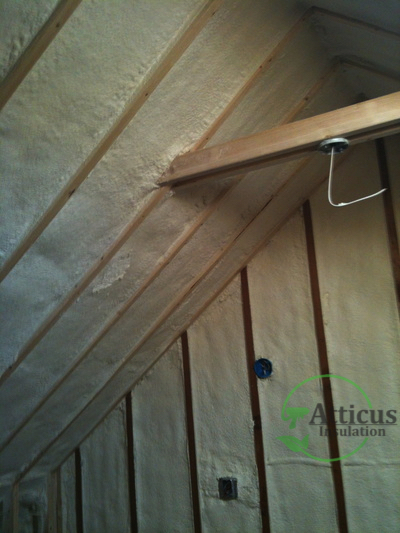 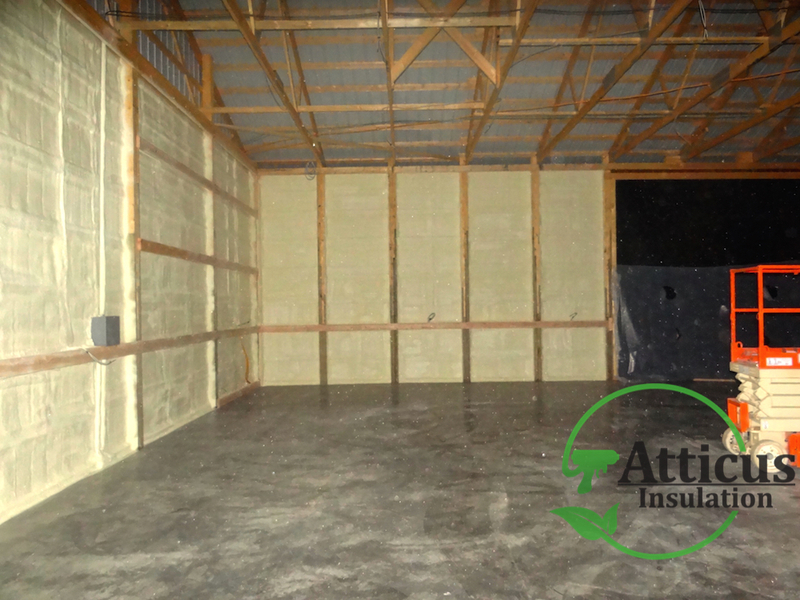 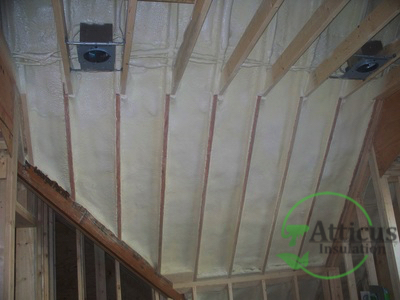 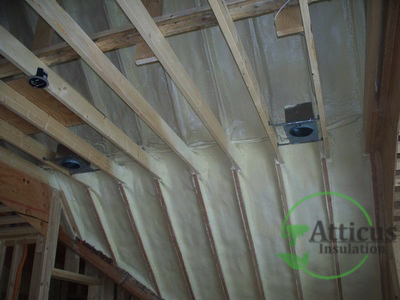 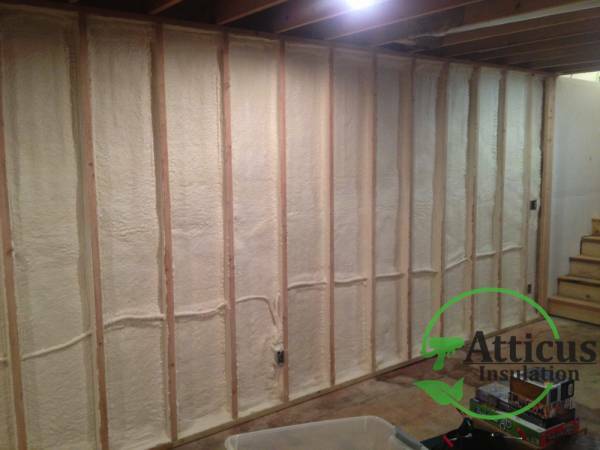 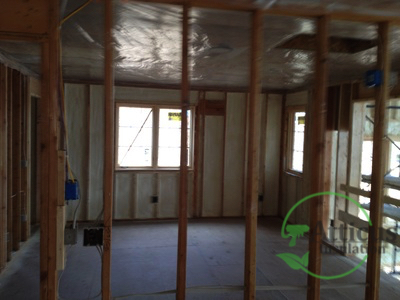 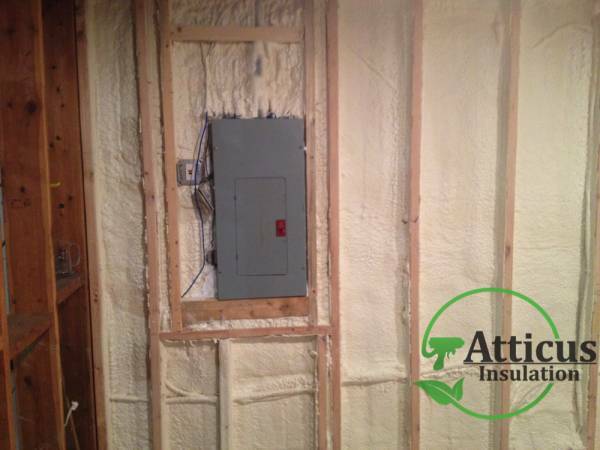 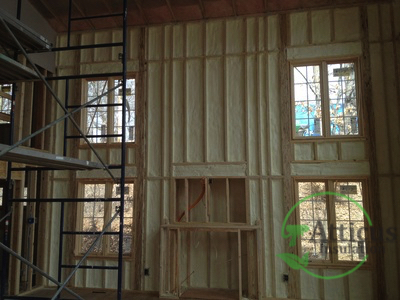 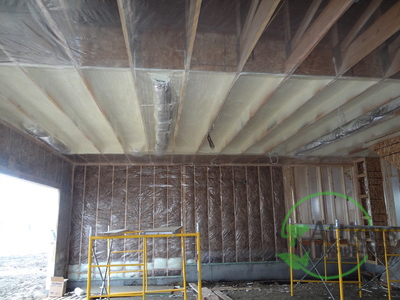 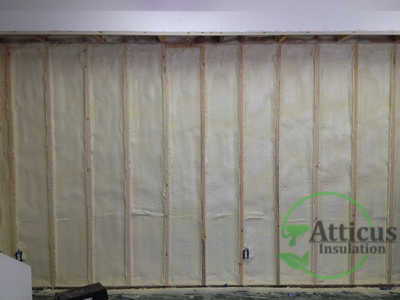 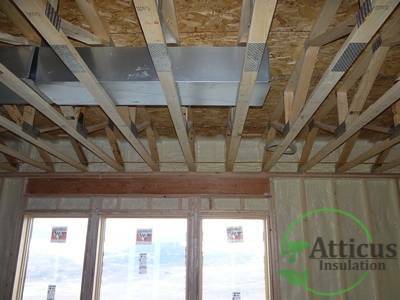 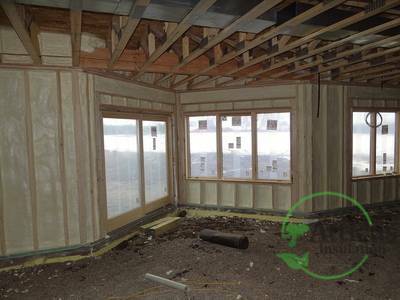 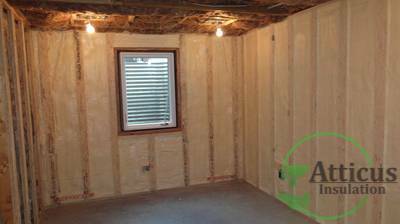 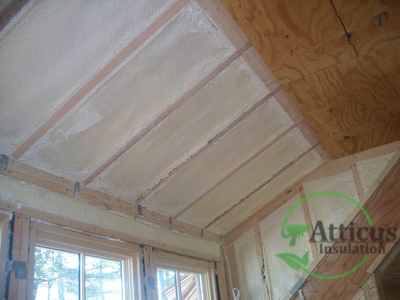 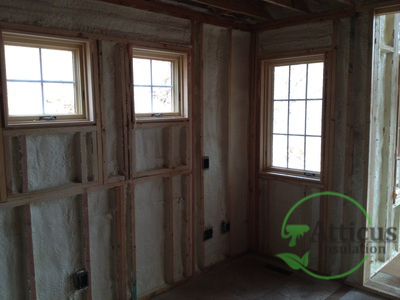 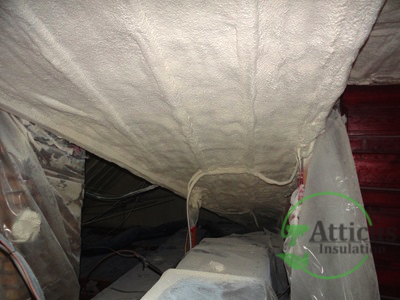 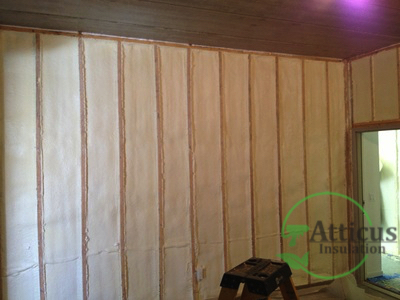 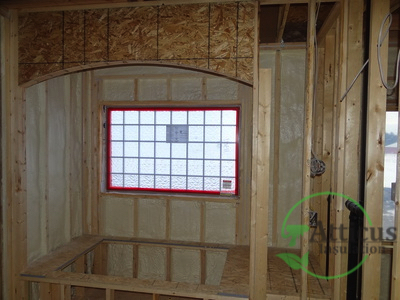 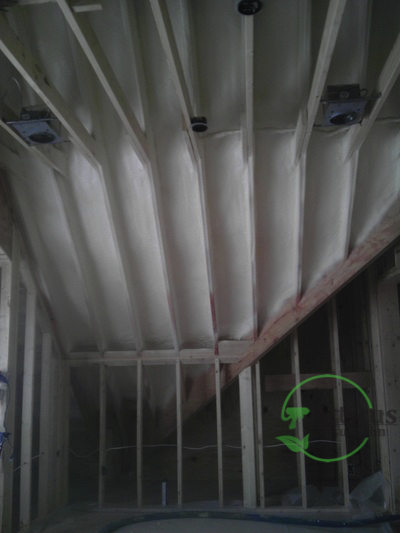 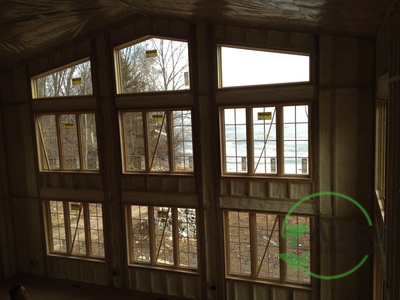 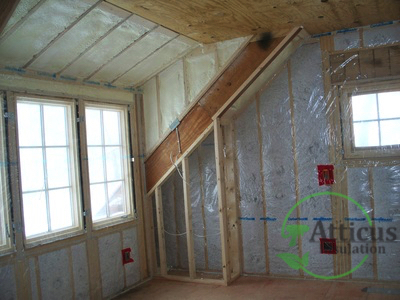 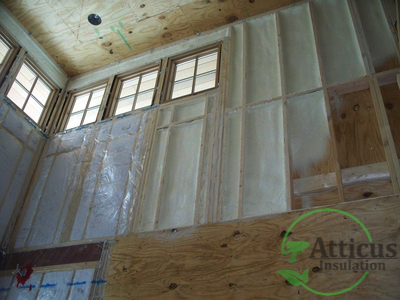 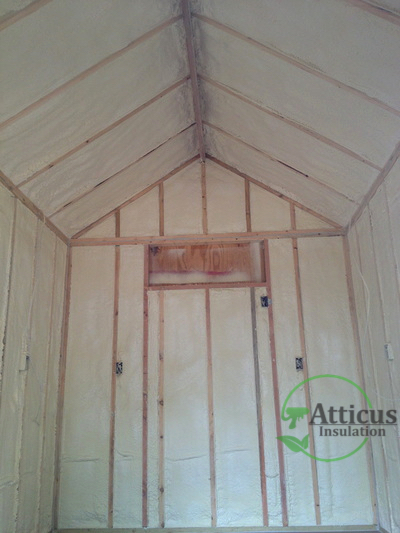 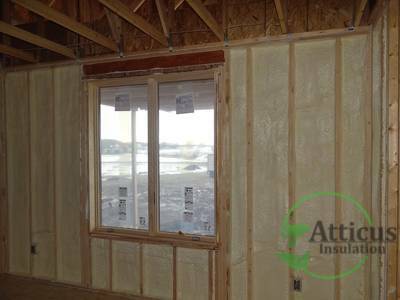 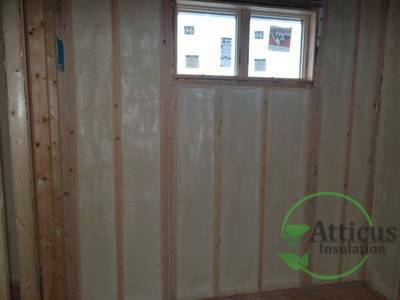 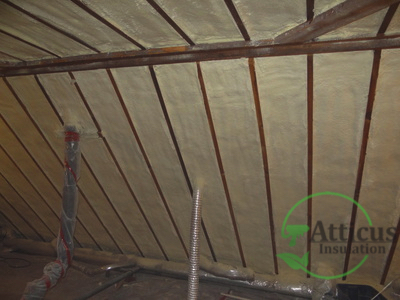 Atticus Insulation has a wealth of experience in this area. 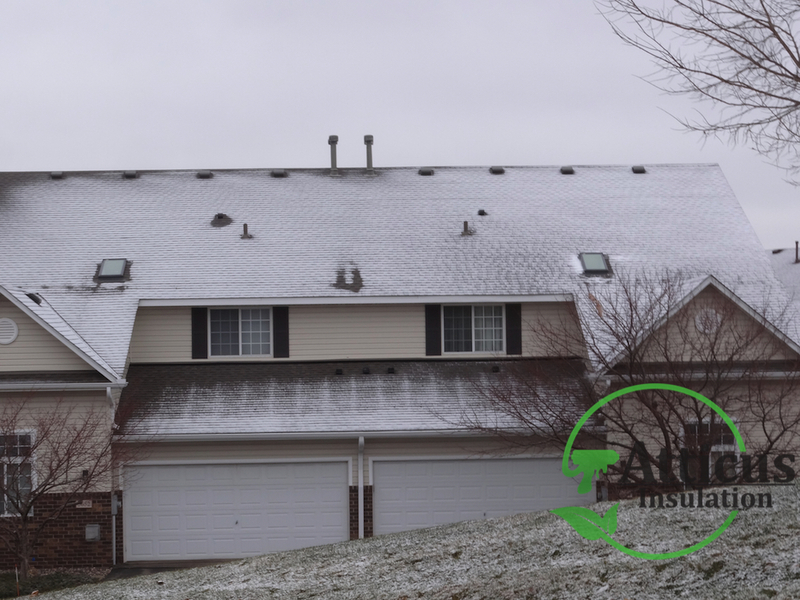 We have successfully stopped ice dams on more than 2,000 townhome units and have had zero call-backs. 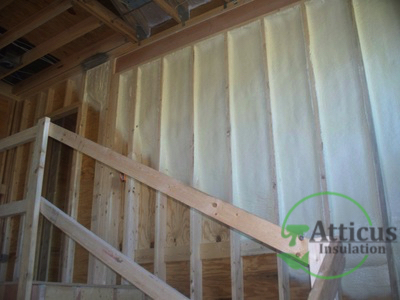 Proper insulation stops ice dam formation, prevents leaks and damages. 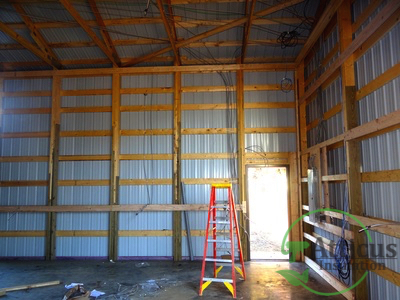 Finding a company to take on a large job for your association is difficult. 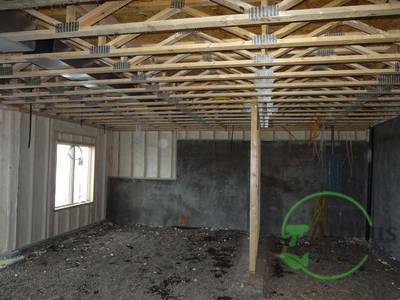 We have spent years building our reputation of success and have a impeccable track record. 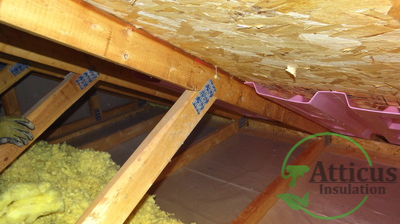 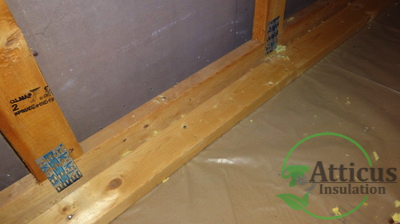 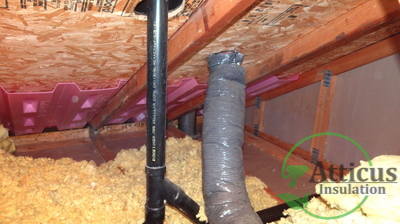 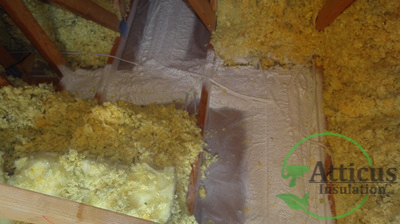 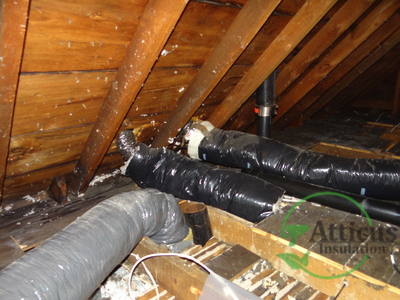 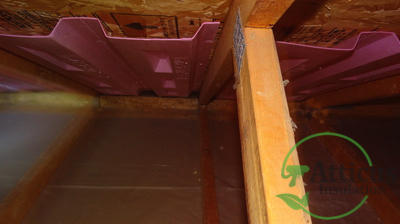 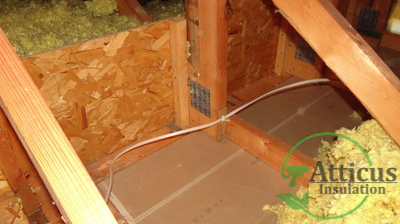 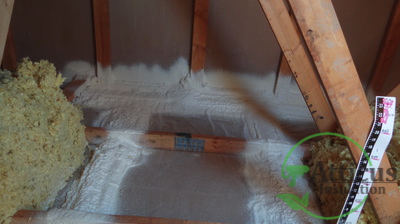 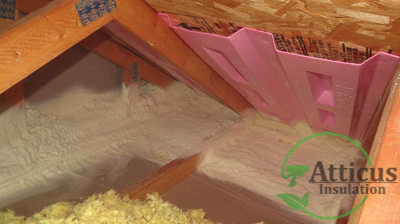 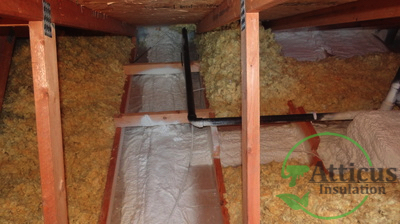 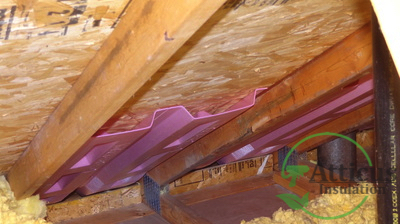 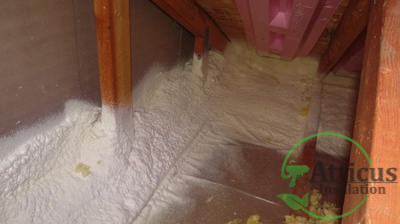 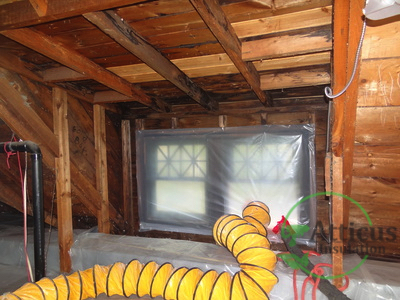 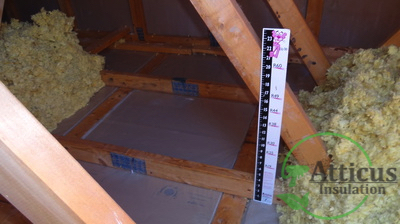 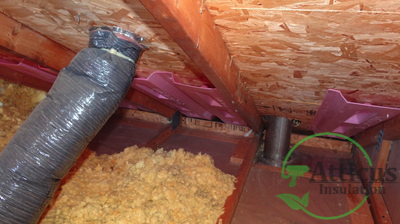 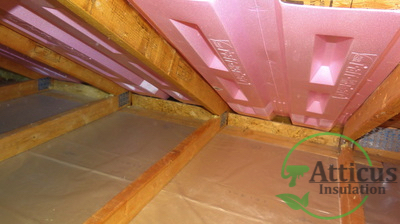 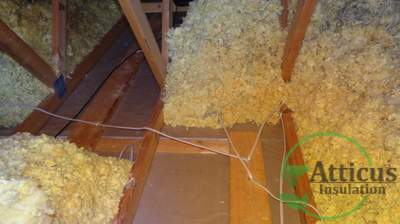 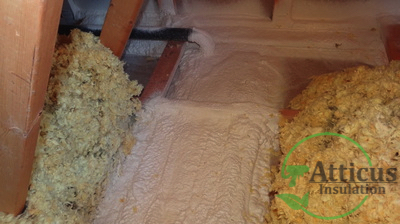 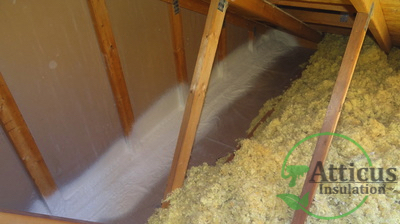 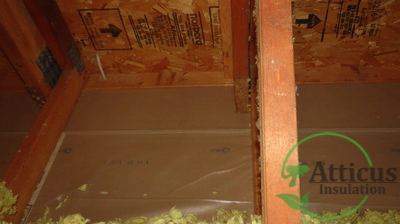 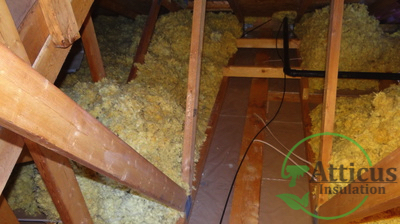 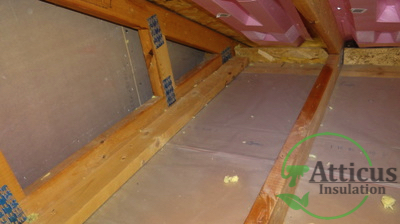 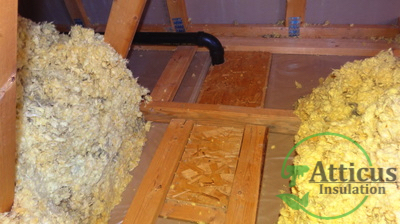 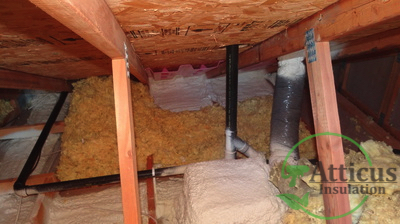 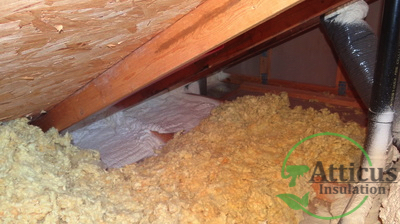 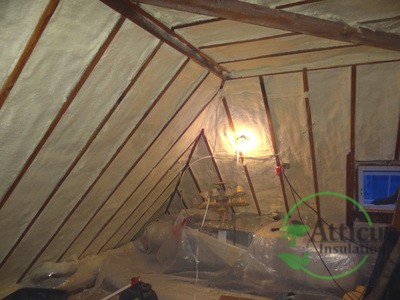 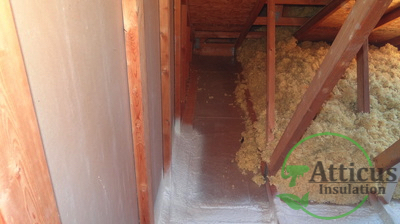 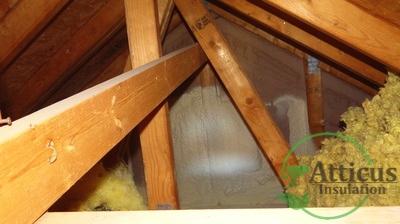 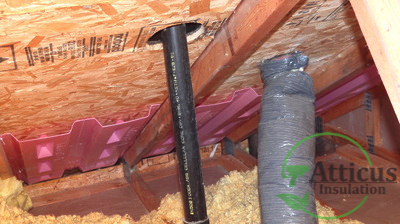 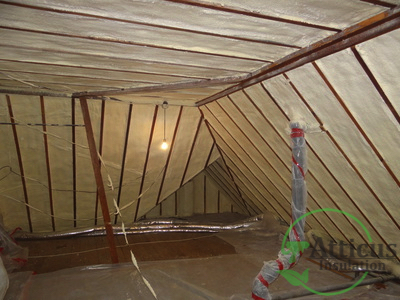 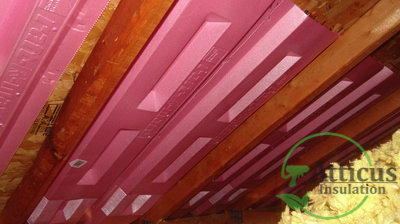 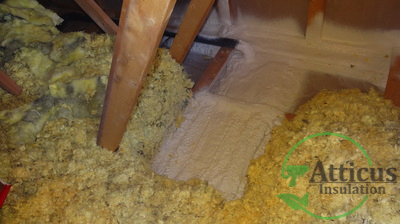 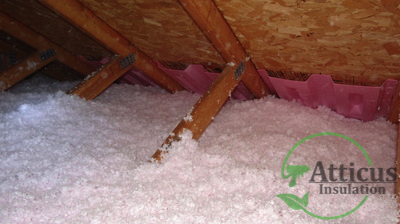 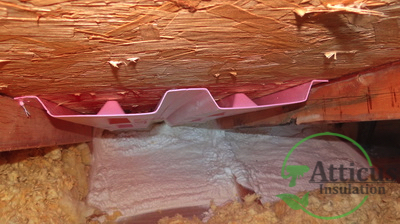 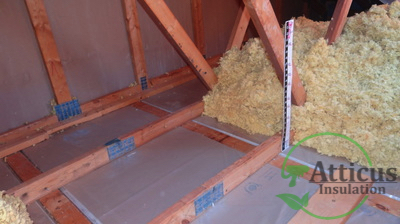 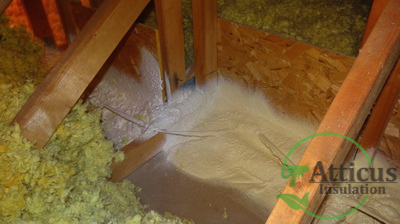 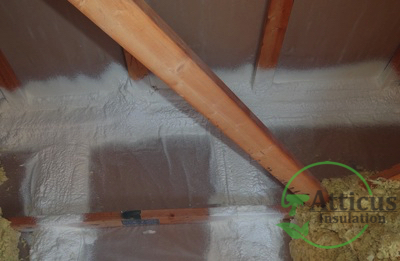 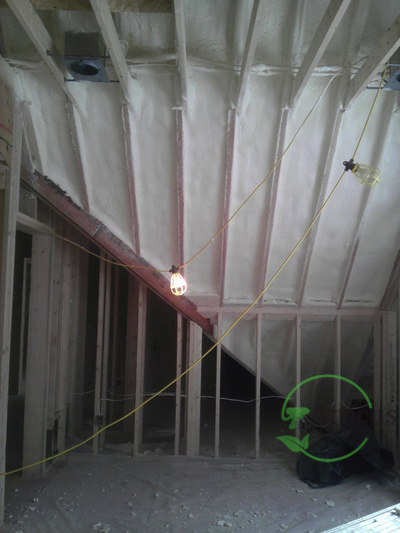 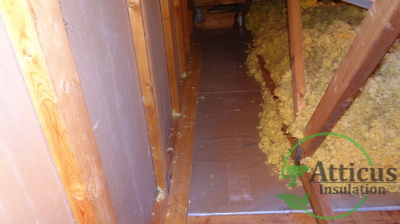 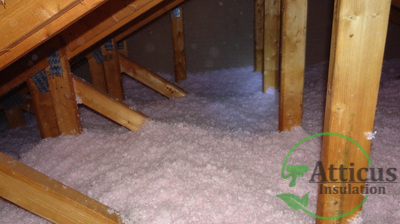 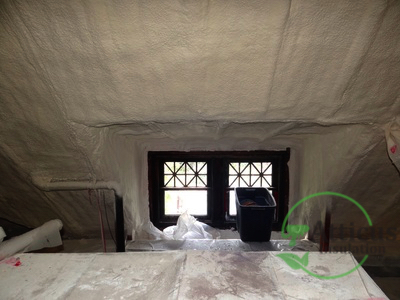 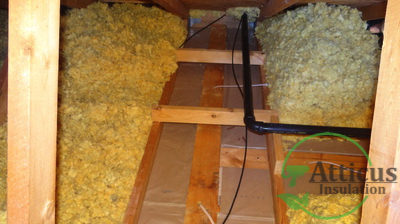 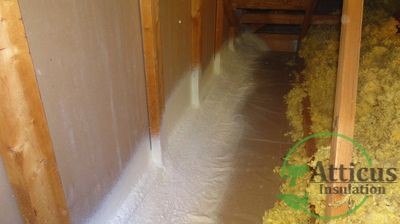 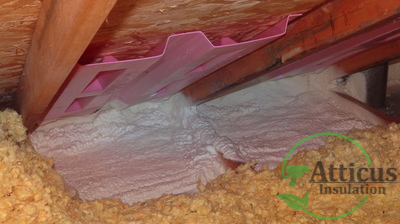 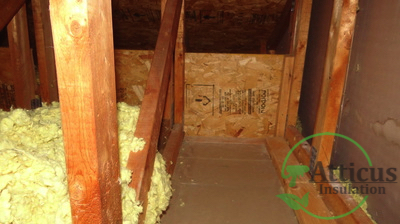 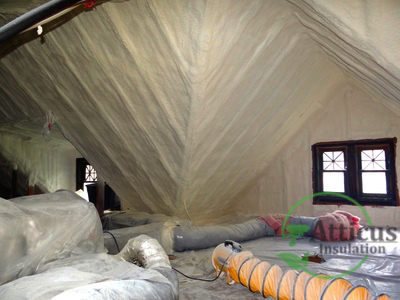 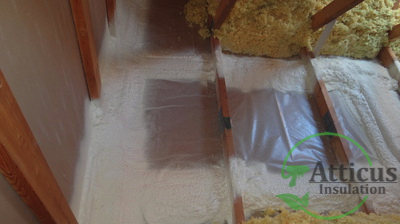 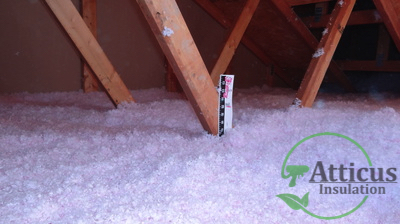 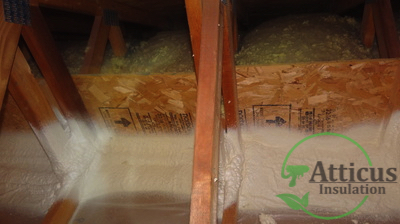 Your attic is often the part of your property where insulation makes the biggest difference. 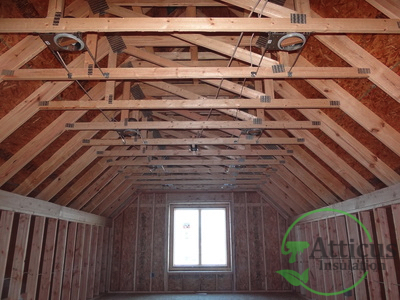 After a proper assessment of your attic space, we will help you find the right package to fit your homes specific needs. 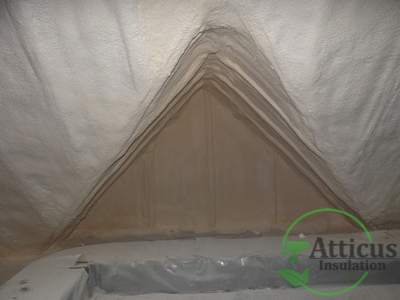 Choosing the proper insulation for your attic space is crucial in keeping a home warm, cool, energy-efficient and ice dam free. 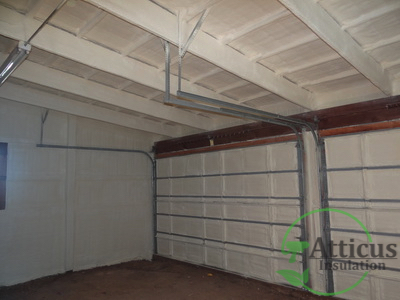 Transform you garage into a workshop, hobby area, or game room! 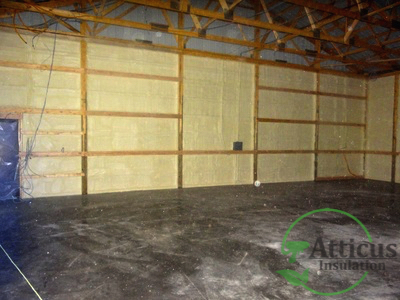 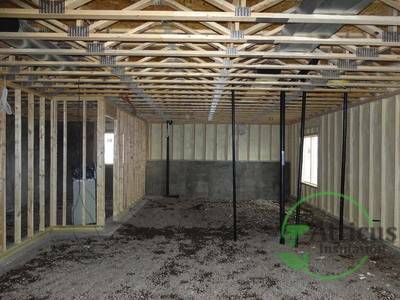 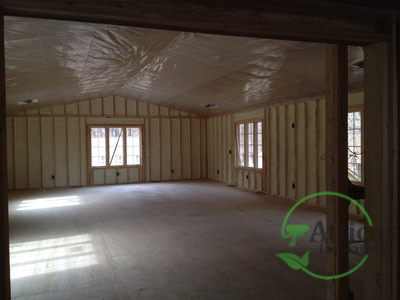 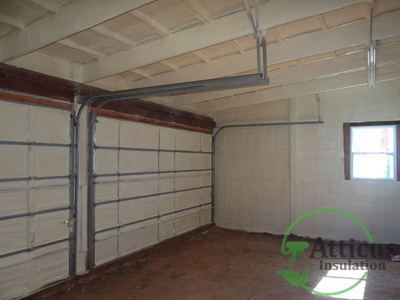 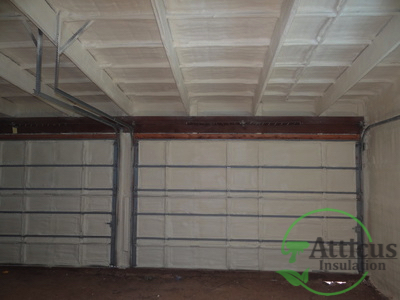 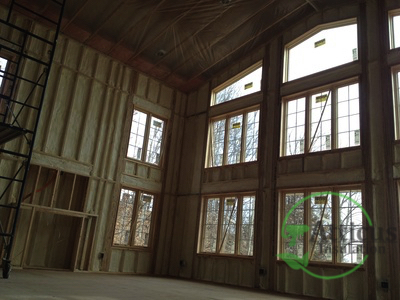 Spray foam insulation can make your garage just as comfortable as the inside of your home. 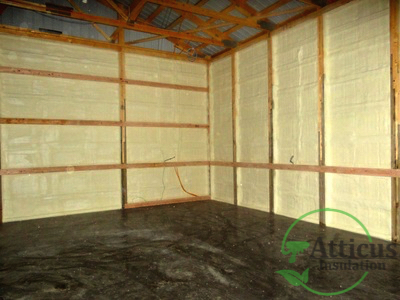 Repair Your Sunken Concrete With Polyurethane Foam! 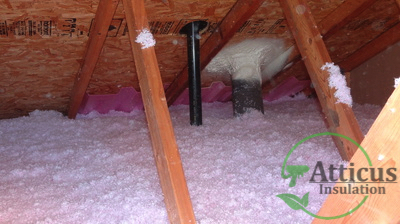 Don’t Replace it ~ RAISE it!